Sweet Corner - Is Sweet Indeed! Dahi Bhalla Papdi Chaat - Good. This dish consists of bhallas which are fried lentil balls, that are spongy and airy, Papdis which are round wafers made of flour, and fried, yoghurt and tamarind/Imli chutney. 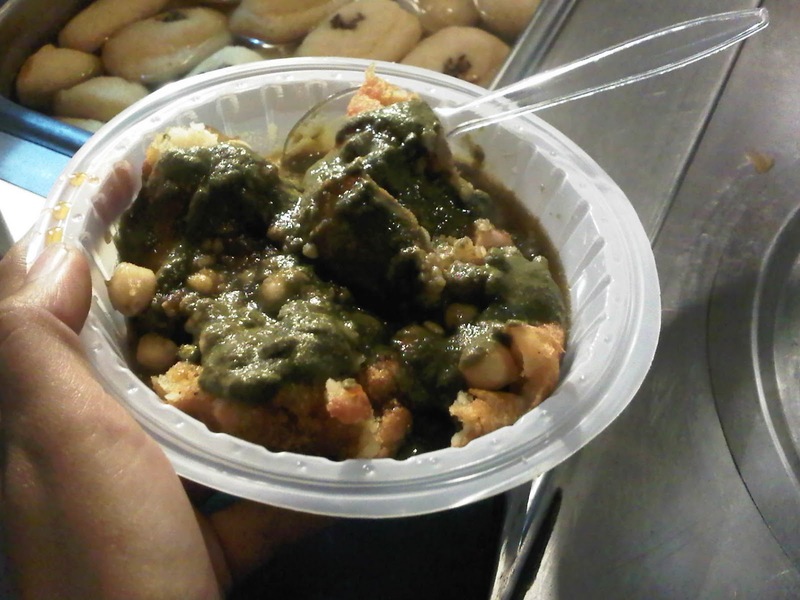 So I know it sounds like a heavy fried mess but its surprisingly not so heavy, in fact probably one of the lighter chaat options you can get. In this case the Bhallas were light and fluffy, not overly spongy. Dahi/yoghurt was creamy and just the right amount of sweet. Imli chutney was perfect too. And the pappdis were crunchy and not stale tasting thankfully!. Gol Gappa - So this is basically, a round paper thin, hollow puff made of wheat flour or semolina. I prefer the wheat flour/atta ones always because they tend to be lighter and thinner. These bite sized balls are then filled with a tiny bit of tamarind chutney and chickpeas and a whole lot of spicy sour water. Now if you are not Indian and this is your first time trying it, chances are you will think it smells like a giant fart and wont like it. I however love it. And I especially love them here at Sweet Corner. The gol gappas never taste stale.. yes this is a legitimate problem!.. and the water is perfectly spicy and sour just how I like it.